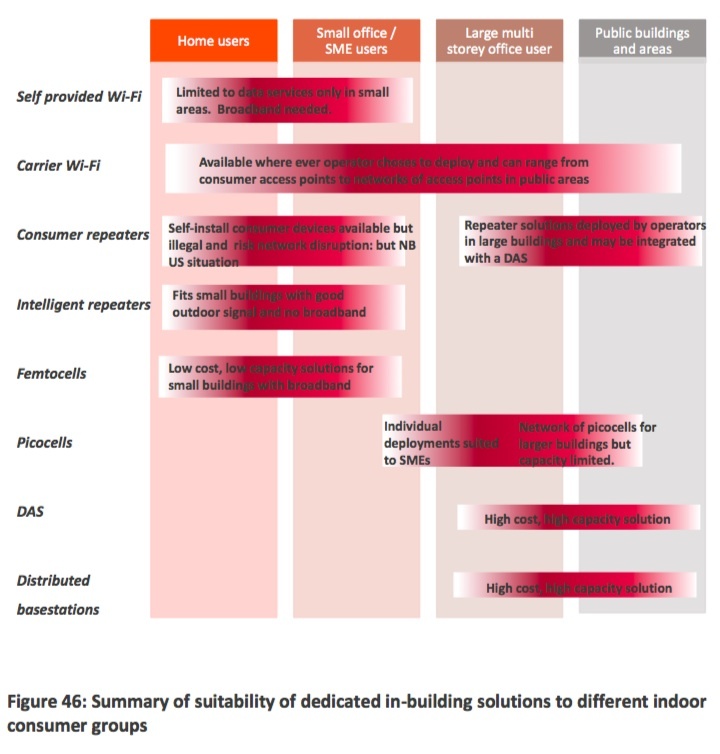 Ofcom studies options for improving in-building mobile coverage « Steven J. Crowley, P.E. A study commissioned by UK telecom regulator Ofcom examines tradeoffs among many mobile indoor-coverage technologies, and suggests the agency help consumers learn more about them. Mobile data is increasingly used indoors — about 85% now and trending up. 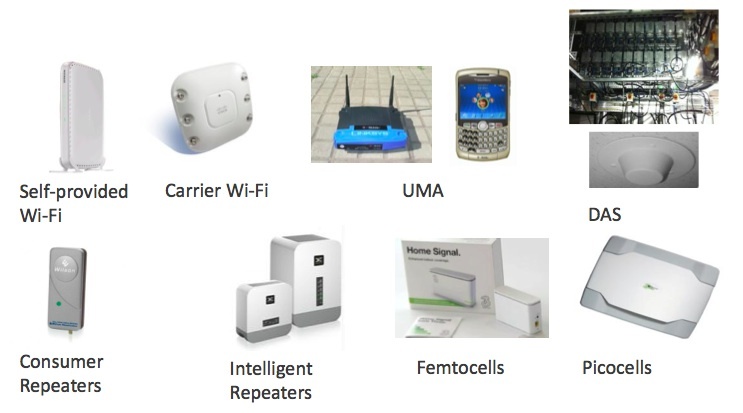 Countering these trends, the study discusses the rapid development of in-building coverage technologies, including Wi-Fi (both carrier and self-provided), femtocells (home), picocells (offices), repeaters (boosters to those in the U.S.), and distributed antenna systems (DAS). Coverage from outdoor macrocells will continue to improve, helping indoor coverage. They will continue to be an important component in indoor coverage, particularly in smaller buildings, but the study sees an increasing role for dedicated in-building solutions. Among other recommendations, the study suggests Ofcom develop guidance that will help consumers compare the many in-building options and help them compare — perhaps using a Q&A format on a website, so the consumer gets particular guidance. This entry was posted on Thursday, January 16th, 2014 at 1:09 pm and is filed under 3G, 4G, DAS, Femtocells, Indoor Coverage, Ofcom, Picocells, UK. You can follow any responses to this entry through the RSS 2.0 feed. You can leave a response, or trackback from your own site.